With the rapid growth of social media and email marketing over the past few years, it seems like a lot of connections are now being made online. But that doesn’t mean that is the only way to network anymore. There still is something really nice about being able to hand someone a salon business card that really defines what you are all about. The thing is, people can end up with a wallet full of business cards! And if they are anything like me, they will eventually do a little ‘wallet-diet’ and toss most of the cards away. The question is… When that time comes, how do we get them to keep yours? But not only that, how do we get them to use your salon business card to contact you for the next appointment? Well, one way to do so is to have a very unique and memorable salon business card. One that your client might even show friends & colleagues because they have never seen anything like it! There’s some really cool ideas there, right? And even if they are for another type of business, just think about how it can be re-purposed for your brand! Are there any types of salon business cards that you’ve seen out there that you found notable? We’d love to hear about it! If you’re looking for some outside-the-box marketing ideas, then you have to click this link and check out our other SlideShare! 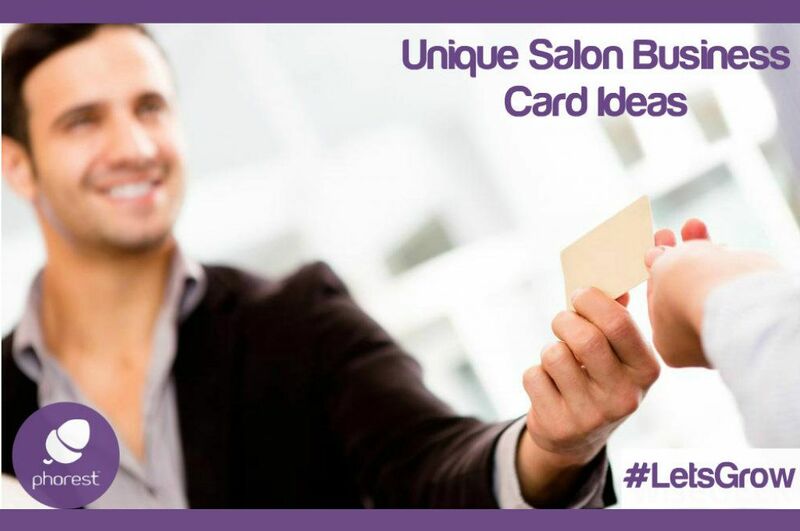 And if you are looking for which company to use when printing your salon business cards, then check out Fit Small Businesses article right here.